The INNOVA 3300 is a Hands-free Digital Multimeter designed to safely and accurately trouble shoot a variety of automotive and household electrical problems. 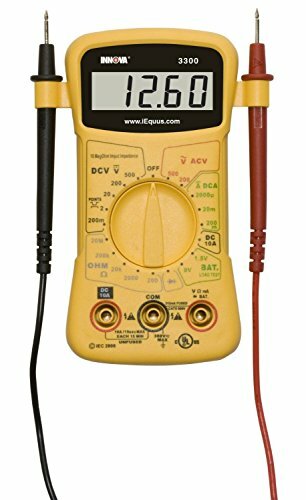 This entry level multimeter features a 10 MegOhm circuitry to prevent damage to sensitive automotive electronics. It includes test lead holders for hands-free testing as well as easy to read instructions in English, French and Spanish.